Texas has yet to gain a commitment from a defensive prospect in the 2020 class despite a fast start for Tom Herman, offensive coordinator Tim Beck and offensive line coach Herb Hand. 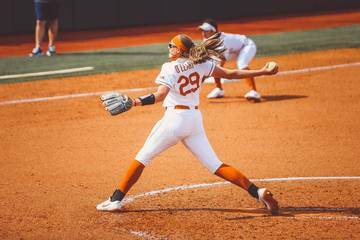 The Longhorns sit at four commitments with spring ball taking precedence over recruiting, though the coaches remain diligent and busy working the phones with the top prospects on the board. 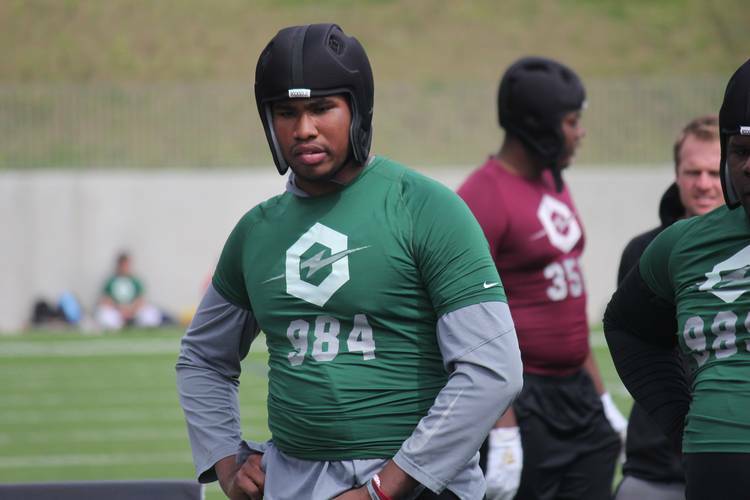 A pair of high-priority defensive linemen were at The Opening regional in Katy on Sunday and mentioned the Longhorns among their top schools. One was local product Princely Umanmielen of Manor. The 6-4, 258-pound defensive end lives 15 minutes from Texas’ campus and estimates he’s taken at least 10 visits there. The four-star is the No. 31-ranked player on the Fabulous 55 and a national top-350 prospect. He’s a big-bodied end who can play multiple spots along the defensive line. He plays defensive tackle for Manor, but that’s not his preference. Umanmielen described recruiting as “stressful and fun at the same time” and plans on taking visits to LSU, Oklahoma and Alabama this spring. He hopes to pick a college before the summer ends. The elite camps provide the talented defensive lineman a change to improve against the best athletes in the area. He also gets to learn. Another four-star defensive lineman in attendance was Houston Cypress Ridge’s Vernon Broughton. The 6-5, 280-pound defender is a versatile prospect who plays on the edge, but likely grows into a defensive tackle. He’s listed as the No. 5-ranked defensive tackle in the country. He’s the top-rated defensive lineman on the Fab 55. Broughton visited LSU on Saturday, admittedly loading up on gumbo and po-boy sandwiches a day before the regional. He also wants to pick a school by the end of the summer, mentioning Texas, Oklahoma, Texas A&M and Alabama as schools sticking from his long list of offers. Broughton expects to next visit Austin on May 4. He’s yet to pick which spring game to attend. Broughton grew up playing basketball and didn’t start competitive football until he was in high school. He’s only scratching the surface of his potential and his frame is the ideal fit for Texas’ odd-man front that utilizes big defensive linemen across the front. That makes the elite camps even more important for Broughton.